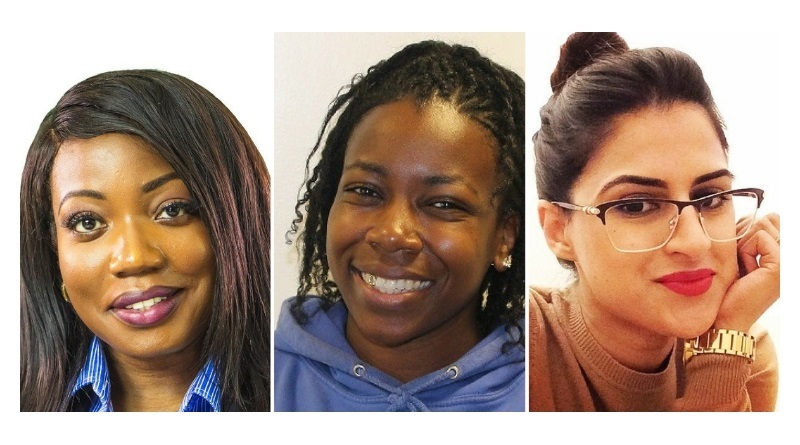 Join us for the November edition of our monthly PRECIOUS Nights at the British Library networking event featuring three award-winning women of colour in business. Each event features a panel of previous PRECIOUS Awards category winners sharing their insights and top-tips. Over the years, the Awards have grown into a flagship event characterised by open and generous sharing of stories, strategies, challenges and experiences: a room full of exceptional women in business all ‘paying it forward’ and creating a unique atmosphere of collaboration and motivation. Now, we’ve decided that once a year isn’t enough and so we’re thrilled to share this series of networking events that capture the PRECIOUS Awards spirit all year round. Tickets are £10 and include a netwoking drinks reception. Roni Savage is a chartered Geologist with the Geological Society of London, and a Specialist in Land Condition (SiLC). She graduated from the University of Portsmouth with a BEng(hons) in Engineering Geology & Geotechnics. On completion, she commenced a career as an Engineering Geologist, working for various consultancies in the UK. She obtained a Master’s degree (with distinction) in Environmental Management at University of Exeter. In 2006, she was headhunted to be Associate Director at one of the largest UK Engineering Firms, working on significant schemes including widening of the A406 and M25. In 2009, she set up Jomas Associates, an engineering and environmental consultancy, serving the construction industry. Jomas Associates undertake site investigations, land contamination and geotechnical engineering surveys, mainly supporting the reclamation and development of brownfield sites across the UK. Attaining a turnover of £2m in 2017, Jomas, provides customer focused engineers, who offer their clients USPs which are rare in the construction industry. Roni won the PRECIOUS Entrepreneur of the Year Award in 2018, Jomas Associates won SME Business of the Year at The 12th Annual PRECIOUS Awards. Mickela Hall-Ramsay is the founder of the highly acclaimed HR Sports Academy. She created the company having achieved a first-class honours degree in Sports Science and Masters in Sport Management. Her passion for developing young people intensified during her time at university, where she focused on the impact sports has on positive youth development. The sudden death of her sister, the rise in youth gun and knife crime, her experiences, ambition, and dedication to hard work culminated in the birth of her company in 2008 and its registration as a Community Interest Company in 2010. HR Sports Academy delivers a range of activities/opportunities directly and indirectly related to sport to help disadvantaged individuals acquire skills which will allow them to positively develop and succeed in life. HR Sports Academy won the Social Enterprise of the Year at the 12th Annual PRECIOUS Awards. Sunny, is the founder of Tweezy; a multi-award winning, revolutionary one-step facial hair-removal tool. After earning a first-class degree in Politics, Sunny realised that she had too many ambitions and ideas to work in a traditional office-based job. Upon noticing a crucial gap in the market, Sunny immediately decided to invest her savings in launching what she was sure would be the answer to countless women’s prayers: a cost-effective, hygienic and long-lasting DIY hair-removal tool. Sunny uses her own experiences of womanhood in developing products to resolve female problems that are often placed under a taboo. More recently she has been developing a reusable menstrual product, that not only highlights important feminine struggles but also on a practical level is cost-effective, hygienic and eco-friendly – much like the Tweezy. The ‘Bloody Heaven’ menstrual cup is set to launch by the end of the year.